Pumpkin Patches & Corn Mazes – Fall Fun! 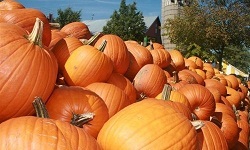 Here is a list of pumpkin farms and corn mazes in and around the DuPage County area. Bengtson’s is without a doubt the one of the largest and most popular pumpkin farms in the Chicago area. There is far more to do at Bengtson’s farm than pick up a pumpkin or two. The farm features carnival rides, slides, hayrides, games, pig races, a petting zoo, a corn maze, and much more! The admission and ride prices are actually quite reasonable for the amount of fun that is in store at Bengtson’s. Like many of the area pumpkin farms, this one gets quite busy on the weekends, especially when there is decent weather. 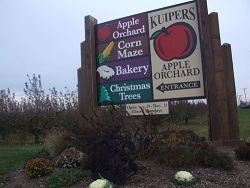 The farm is located at 13341 W. 151st in Homer Glen, and is is open daily, 10am – 8pm, from October 1st through October 30th, 2011. Be sure to check out their website for more details and coupons! A wee-bit north of DuPage County, you’ll find Goebbert’s Farm in South Barrington. 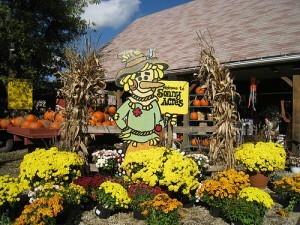 Goebbert’s is another large-scale pumpkin farm that is ripe for fall fun! The farm features pony rides, a corn maze, a harvest market, a spooky haunted house, and great autumn treats like fresh roasted corn and kettle corn. The farm, near I90 is easily accessible from Higgins Road (located at 40W Higgins Road, South Barrington, IL 60010 – (847) 428-6727). Admission and ticket prices are reasonable and similar to what you will find at other area pumpkin patches. The farm is open to the public from 9AM – 7PM on weekdays, and from 9AM – 6PM on Saturdays throughout the fall season. For more information, visit the Goebbert’s Farm website. The farm is open to the public from September 18 – October 31. I have never actually been to this farm myself, but plan to check it out this fall. My brother has taken his family here for years and says it is not to be missed. The farm has it all in one place… There is an apple orchard, corn maze, pumpkin patch, amusement attractions, and petting zoo. 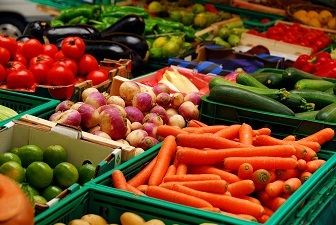 Like many of the area fall farms, they can get crowded and pricey on weekends. There are special deals and fewer crowds to fight if you can make it a weekday outing. More information and ticket pricing can be found on Kuipers website. I remember going to Sonny Acres when I was in elementary school. Now that I have children of my own, I have been back annually for the past 5 years or so. I’m sure the memories of going there as a child add to my fondness for this place, but even without those, it’s the perfect place for fall family fun. Sonny Acres has a pumpkin patch, a haunted barn (and shed), a hand-full of carnival-type rides, a petting zoo, gift shops, hay rides, and plenty of tasty treats (I love the roasted corn on the cob). Sonny Acres is located a couple miles east of Route 59, on the north side of North Avenue in West Chicago. Weekends in the fall are very busy and crowded. Weekday hours vary. There is no entrance charge, but like most carnivals, rides can get pricey if you have a large group. In my opinion, this is one of the best pumpkin patches in Illinois. Please check the Sonny Acres website for more information. 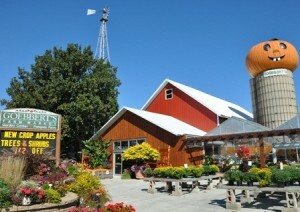 Located in northern Will County (just south of DuPage), is Siegel’s Pumpkin Farm. They refer to themselves as being, “Affordable family fun on the farm.” What I like about Siegel’s is the flat-rate ticket price ($12 – $10 if you take a brief survey on their website) that covers all of the attractions. Many of the pumpkin patches may leave you feeling nickel-and-dimed, having to pay extra for each individual attraction. At Siegel’s, your ticket is good for all of their attractions which include: Fort Cottonwood play area, corn maze, petting zoo, a haunted barn, and more… The attractions are not to the scale of some of the other larger farms, but there is plenty of fun for the entire family. Siegel’s Cottonwood Farm is located at 17250 S. Weber Road in Crest Hill. More information can be found on their website.